As the wedding day approaches, questions start to arise and your bridesmaids immediately want to text the bride to get answers. "where am I supposed to be" and "what time does that start" Today's post is 5 things all brides should tell their maids beforehand to prevent getting 21 questions the week of the wedding. 1. 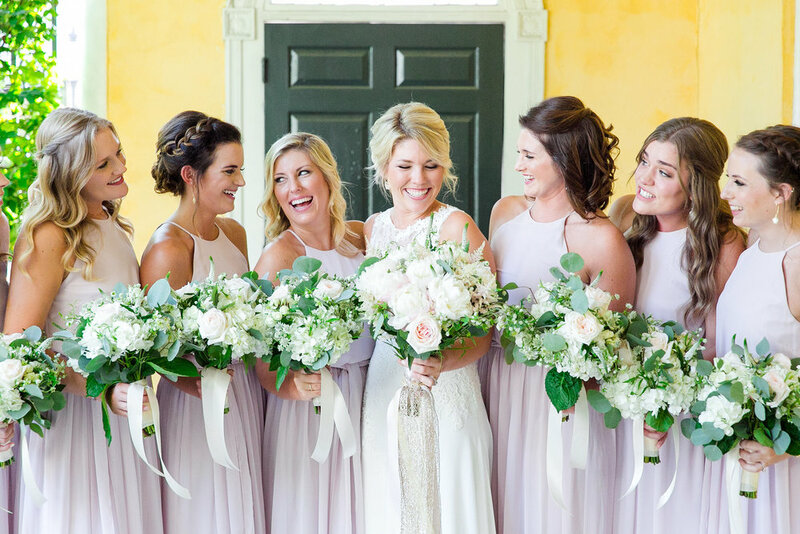 Timeline: Once your timeline has been finalized with your planner, be sure to share the weekend events with your bridal party and family so everyone is in the know. The timeline will have full details on where to be and what time. 2. Food: To ensure your bridesmaids don't get 'hangry', let them know what the food situation will be. If they have hair/makeup appointments early in the morning, be sure to let them know if food will be provided or if they should grab something for breakfast. It is a long day, so you need to make sure your girls are fueled throughout the day. 3. Items to bring with: Let them know what they should bring with them so they are prepared. Their dress, jewelry, change of shoes for later in the evening, makeup to freshen up throughout the day, and whatever else they might need. *Make sure your girls have their dresses and getting ready robes steamed, otherwise they will totally stand out in photos. 4. Dates: If your bridal party has a significant other attending the wedding as their date, be sure to let them know when the dates can arrive. The last thing you want is your friend's boyfriend tagging along all day during getting ready and pictures. 5. Positive attitude: This might be the most important note of all, a positive attitude will go a long way! Remember, the wedding day is about the bride! The best way for the bride to stay calm and relaxed throughout the day is to have a happy group of bridesmaids by her side. The bridal party sets the tone for how the day will go.